Richard S. Calone received his BS in accounting at the University of Notre Dame du Lac in 1968. He then received his legal education at the University of Santa Clara in 1971, and was admitted to the California State Bar in 1972. 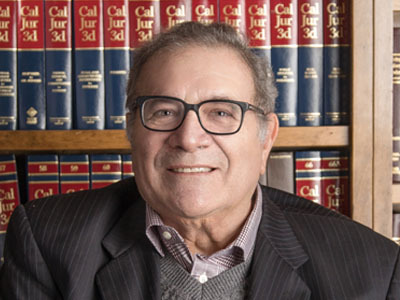 Mr. Calone received his MBA in Taxation from Golden Gate University in 1974, and has been certified as a specialist in taxation law by California State Bar Board of Legal Specialization. He has practiced as a tax attorney in the Stockton area since May 4, 1974, after spending more than two years with the Internal Revenue Service as an Estate Tax Attorney. Mr. Calone was also a Commissioned Officer, USAR, AR in 1968 and resigned as a Captain in 1976. Mr. Calone began his career in Stockton with the law firm of Brown, Lane, Calone & Duncan. He has continually specialized in taxation for the individual taxpayers and their wealth accumulation entities.